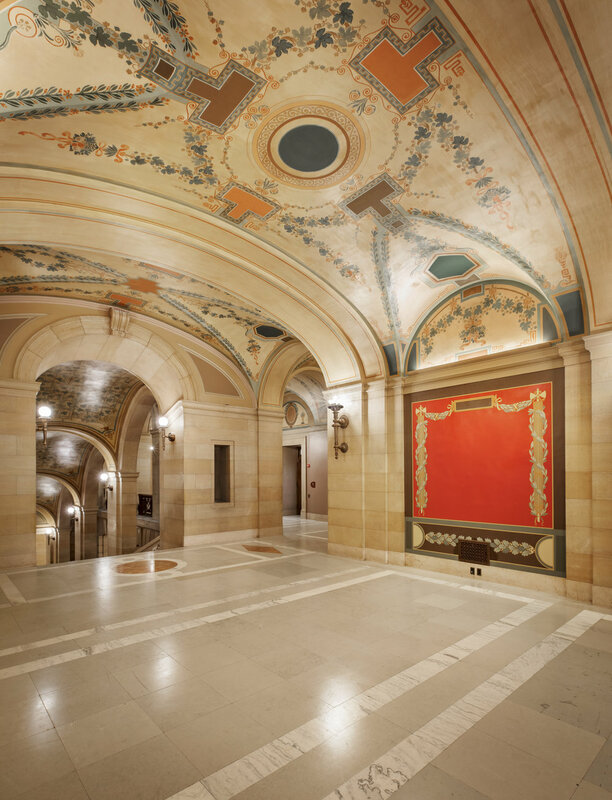 Schooley Caldwell, as part of the Capitol Restoration Collaborative (CRC, a collaborative partnership between ourselves and HGA Architects), served as Design Architect for the full restoration of the 1905 Minnesota State Capitol Building. 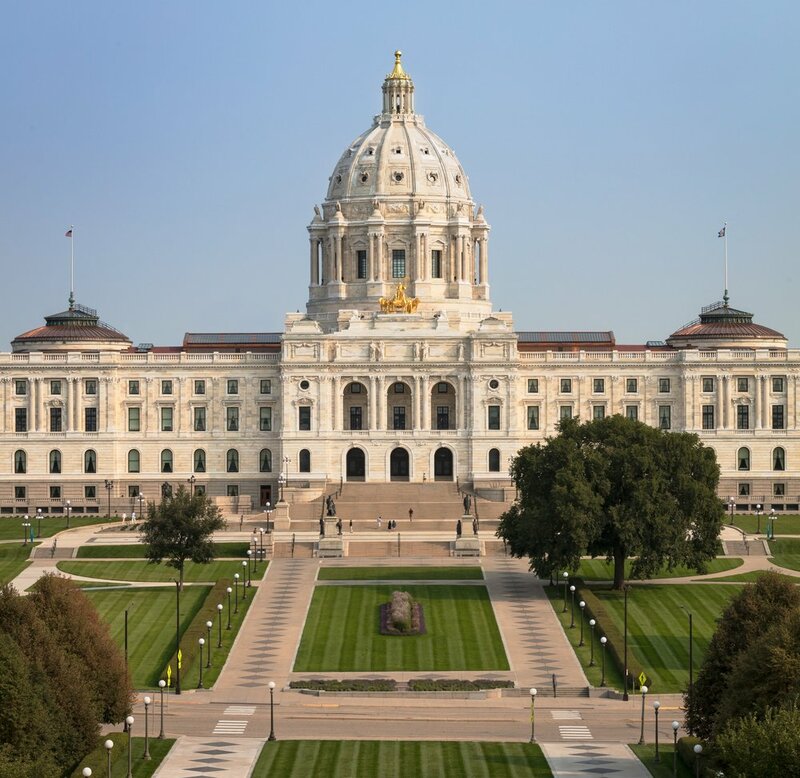 The capitol building, designed by Minnesota’s own nationally-acclaimed Cass Gilbert just over 100 years ago, ranks among the most beautiful and majestic of the nation’s capitol buildings. However, as is often the case with much-used historic buildings, under the surface are antiquated mechanical and electrical systems leading to poor air quality and widely varying temperatures, “dead end” corridors and other life safety code problems, inadequate office and public hearing room spaces, a lack of modern technology and security protection, places that are inaccessible to people with disabilities, and virtually no accommodation for the thousands of people who visit each year. 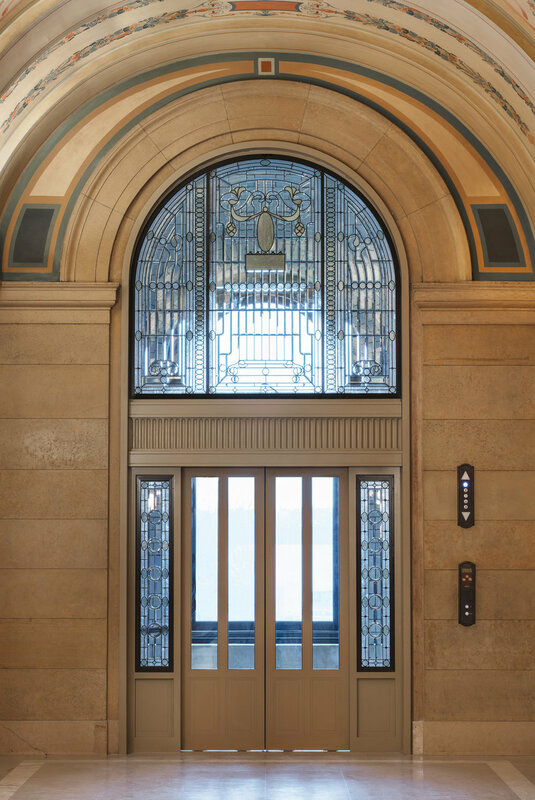 The design successfully addresses each of these challenges, while preserving and restoring historically significant elements of the building. 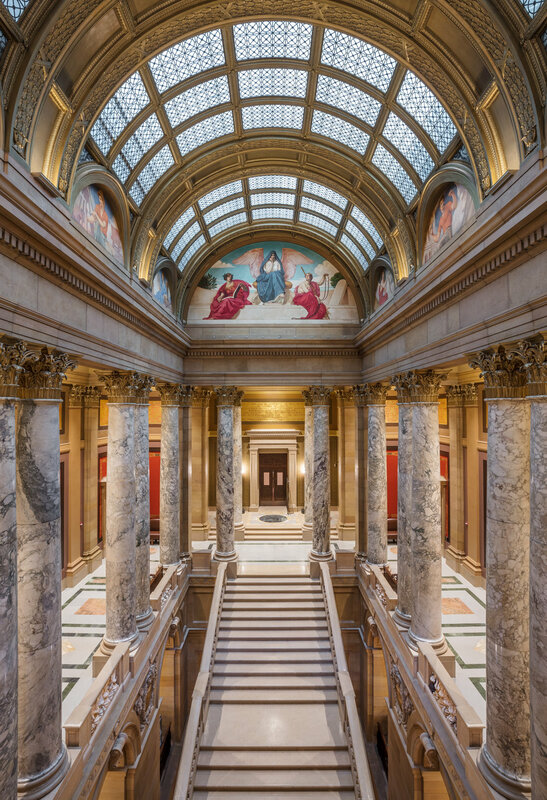 The building’s mechanical and electrical systems were replaced with new, energy-efficient systems; space planning and programming addressed the needs of the legislature and provided improved public spaces, and the Capitol is now fully accessible to those with disabilities. 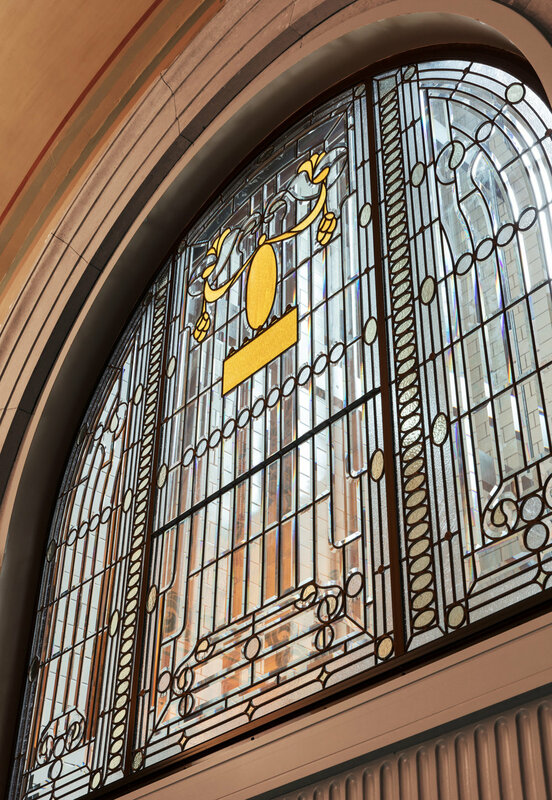 The building was designed by Cass Gilbert and modeled after Saint Peter's Basilica in Rome. The unsupported marble dome is the second largest in the world, after Saint Peter's. Work began on the capitol in 1896, and construction was completed in 1905. The structure was added to the National Register of Historic Places in 1972.